It will extend the trail from the Fire Station to the other side of the Bridge at Davis Street, turning into sidewalk to Ash Street which is the street that leads to the Catholic Church. The parking lot area from the Bridge all the way to the Town Hall Parking lot will be all new. All this work will cause some frustration as parking will be limited. Please understand that this will all be done by mid December and we will have a nice new look in our Downtown Community. This entry was posted in Uncategorized on September 4, 2018 by Danielle Wytko. This entry was posted in Uncategorized on August 14, 2018 by Danielle Wytko. Thanks partly to a grant from the State Recreation and Conservation Office and with a lot of hard work from the local community, Wilkeson is on track to make some major renovations to Roosevelt Park. This entry was posted in Uncategorized on November 7, 2016 by jnanavich. 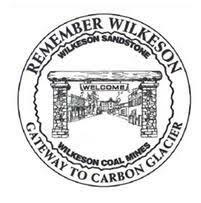 Proposed Art Project for Wilkeson! Visit the “Bacon and Eggs” Info site below, to see information concerning an art auction which will benefit building a proposed skatepark art project in Wilkeson. Update: September 16, 2015 – There is new art for the auction and they are also seeking donations. $100 will get your name on a tile set inside the lip of the fry pan. This entry was posted in Local Events on September 10, 2015 by jnanavich.